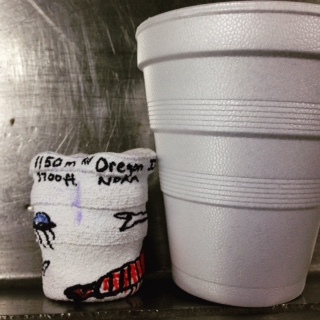 Sea wave height <1 ft.
. Have I mentioned how patient everyone is with the “Teach” aboard? This morning we pulled up 97 empty hooks from 1250 meters before we caught the amazing grenadier fish! It suffered barotrauma, which is a nicer way of saying that its eyes and swim bladder inflated like balloons from the inside as it was hauled up from the high pressure depths. One of the scientists onboard studies ocean food chains by examining the contents of fish stomachs. 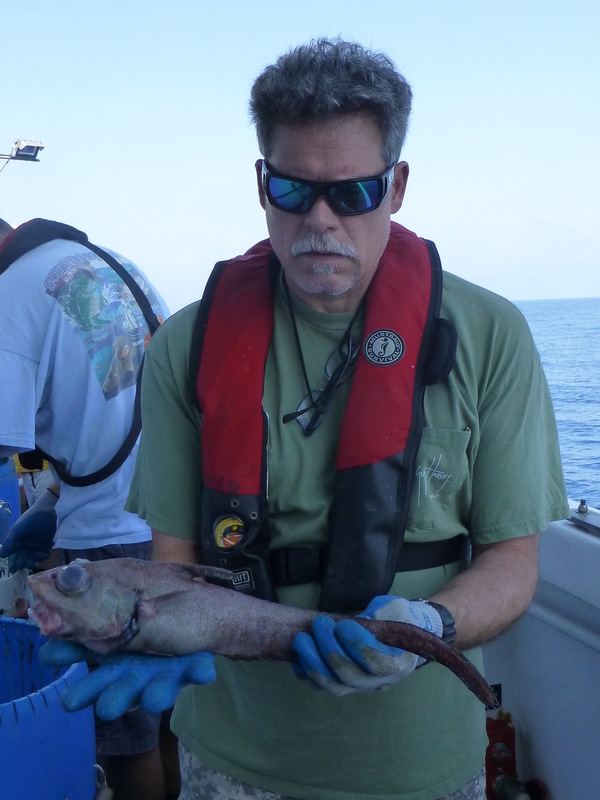 The stomach of the Mexican grenadier fish contained a fully intact armored shrimp! Today I took advantage of the calm, calm seas to try the workout equipment onboard. They have all kinds of gear to help folks stay active and work off the delicious food in the galley. There is a rowing machine, stationary bike, weight bench, Jacob’s ladder, and elliptical. I used the elliptical machine because it was way too hot on the upper decks to use the exercise bike. Even with the very calm seas, there is a little bit of rolling, which made it an extra challenge for me keep it going! How big is the boat? How tall? How long? The boat is 175 feet long and 80 feet tall. much weight the boat can carry if it were loaded full of cargo. We are not carrying nearly that much weight because a lot of the space on the boat is for equipment and for scientists and crew to live aboard. Typically, the boat can go about 10 nautical miles per hour using both engines. She can go a little faster if the wind and current conditions are just right. The boat is made of steel and aluminum. What are the white balloon things on top of the boat? The white domes cover satellite dishes for the internet and phone. What are the poles on the boat for? Are there sails? This array houses the Conductivity, Temperature, and Depth probe. pull a wide trawling net, much like a shrimp boat. Scientists trawl the bottom to study benthic organisms, including shrimp, but also sponges, crabs and bottom-dwelling sharks. What new technologies does the boat have? The Oregon II turns 50 years old this year! It has been sailing the Atlantic Ocean since before I was born, but the crew is constantly fixing and replacing equipment on the boat. Even though she is old, she is very safe and reliable. 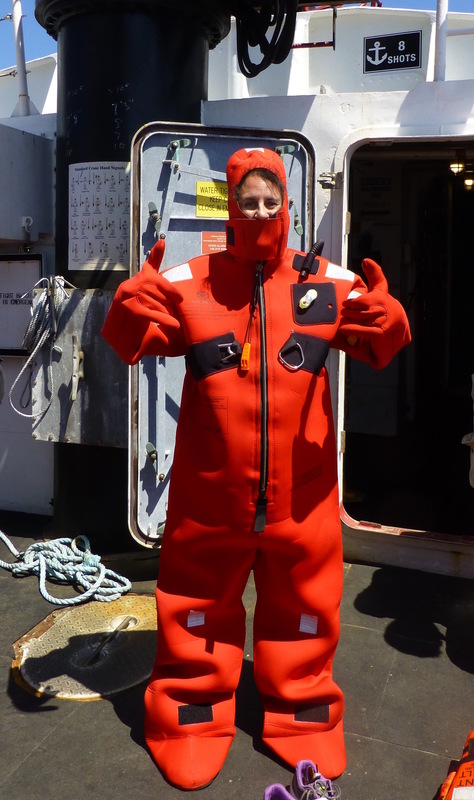 Nevertheless, we still have to prepare for emergencies, including the possibility of needing to abandon ship while wearing the goofy-looking, but life-saving survival suits. Scientists have brought new technology on board, including plenty of computers to collect, sort, store and analyze all the data we collect. 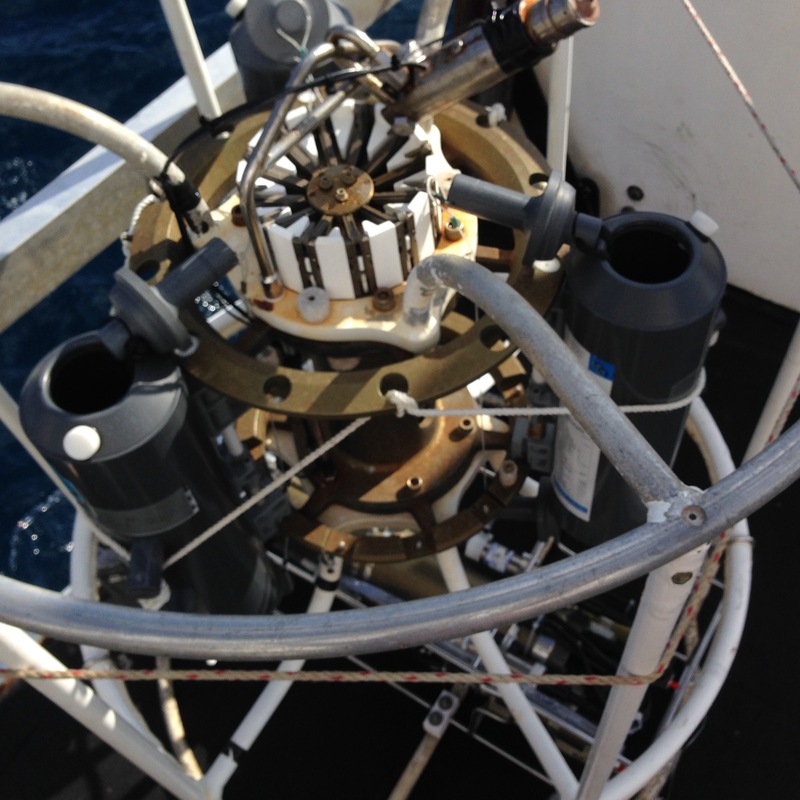 One of the computers is connected to a device called the “CTD” with a set of sensors for Conductivity, Temperature, Depth and Dissolved Oxygen. Today the CTD went all the way to about 1100 meters (3700 ft.), and we tethered some styrofoam cups to the outside to subject them to the extreme pressure at that depth. 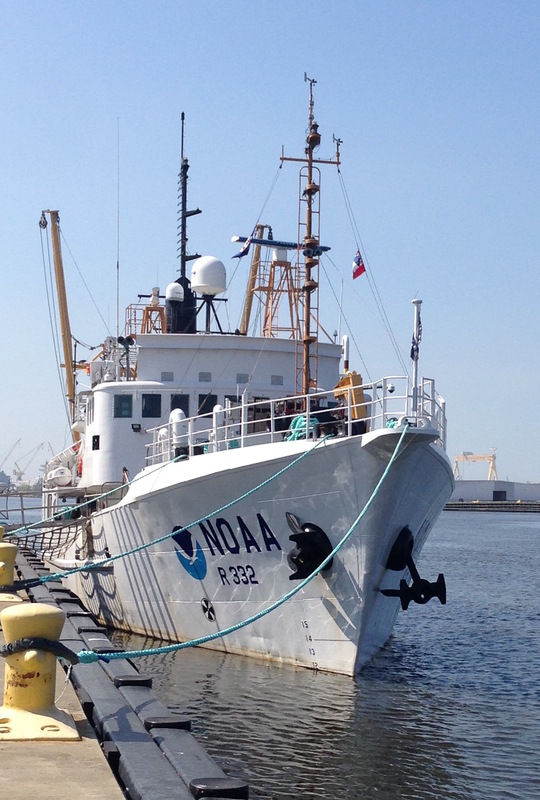 This entry was posted in 2017, Emily Sprowls, NOAA Teacher at Sea and tagged CTD, grenadier, Gulf of Mexico, longline, NOAA Ship Oregon II, ship specifications. Bookmark the permalink.